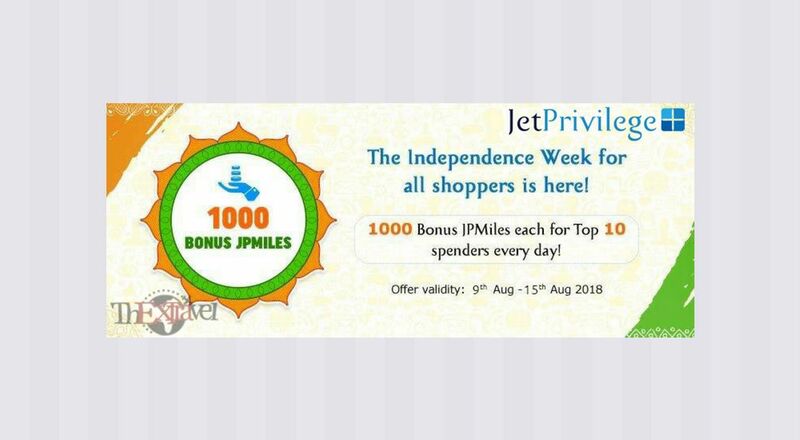 JetPrivilege is back with yet another amazing offer for shopaholics, 1000 Bonus JPMiles for Top Spenders in JetPrivilege shopping website. 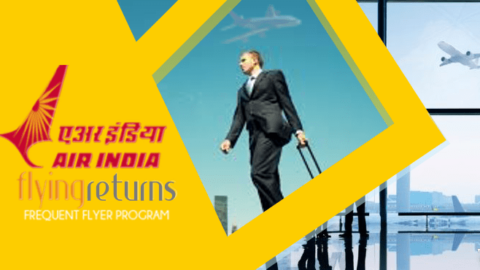 Collect bonus JPMiles and redeem them later to get discounted flights and cheaper bookings at Jet Airways. Your everyday shopping can reward you with 1000 bonus JPMiles!! Let’s take a look at this fabulous deal. Shop on any JetPrivilege partnered website and make more and more transactions via JetPrivilege shopping website. Everyday, top ten spenders will be getting 1000 bonus JPMiles. Bonus JPMiles offer has brought an opportunity to earn a lot many JPMiles and you can redeem them later for exciting exclusive discounts and deals. You can also redeem JPMiles on Indian oil outlets. 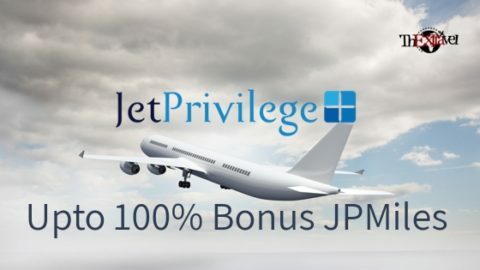 The latest JetPrivilege offer of bonus JPMiles is a one time deal and one member can get rewarded with bonus JPMiles only once during the offer period. Only confirmed orders will be taken into account. A confirmed order is the one that has been delivered successfully and there is no further need to return it or of any cancellation or refund regarding it. The total daily transactions made by a member via JetPrivilege shopping website will be considered while making the list of the top ten spenders of the day. No bonus JPMiles will be rewarded for an item purchased that gives less than 1 JPMile. The base JPMiles earned will be credited first and bonus ones will be credited subsequently. The bonus JPMiles collected will be credited to the JetPrivilege member’s account by 30th November, 2018. This latest JetPrivilege offer will be valid from 9th of August, 2018 to 15th of August, 2018, both dates included. 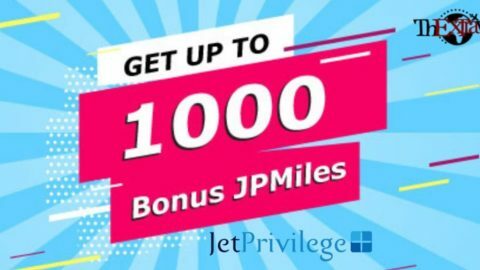 All JetPrivilege members having a valid JP membership number can participate in the latest 1000 Bonus JPMiles for Top Spenders offer. If you aren’t yet a member and become a member with the offer period, you can eligible to participate as well and earn bonus JPMiles. You can find T&C’s here. 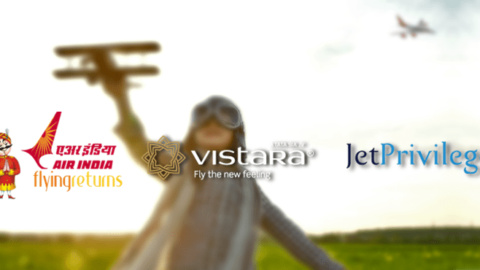 Enroll now to enjoy the best deals by Jet Airways frequent flyer program, JetPivilege. JetPrivilege is our favourite frequent flyer program for its intriguing offers bring so much joy to everyone’s lives. Become a part of it and you will be rewarded. 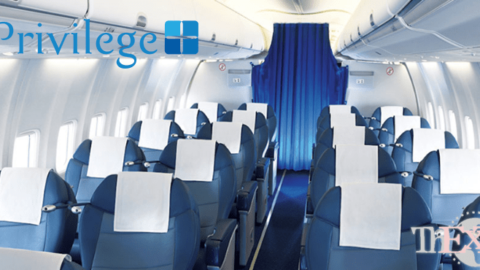 Read about more offers by JetPrivilege on our website. Scroll down to learn more about the latest travel hacks. Become a smart buyer and a smarter traveler! !